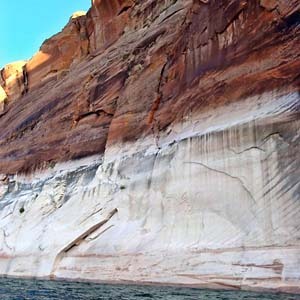 Marvel at premier natural wonders on this multi-state vacation that focuses on some of the West’s most scenic national parks. 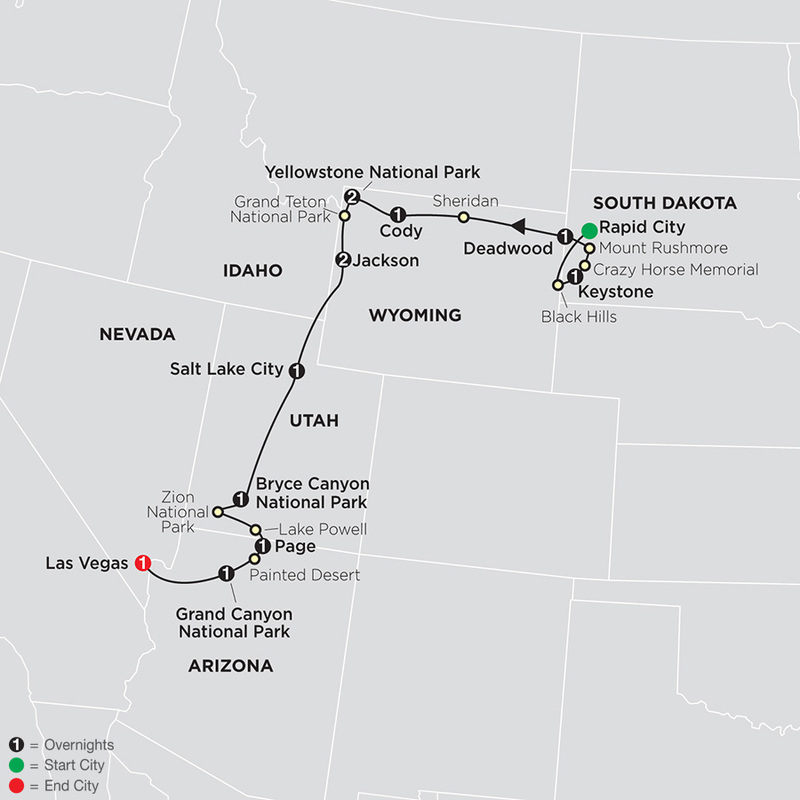 This National Parks tour starts in Rapid City and ends in Las Vegas. In between, you’ll visit Mount Rushmore, Yellowstone National Park, Grand Teton National Park, Bryce Canyon National Park, Zion National Park, and Grand Canyon National Park. From spectacular rock formations and deep canyons to sparkling waterfalls, geysers, and lakes, you’ll see a wide variety of breathtaking natural treasures. In South Dakota, visit Crazy Horse Memorial, built to honor the famous Sioux Indian leader; incomparable Mount Rushmore; and Deadwood, once a lawless gold-mining town. In Wyoming, stay two nights inside Yellowstone National Park and see magnificent views of Yellowstone Canyon, Lower Falls, and world-famous Old Faithful Geyser. Yellowstone has the largest concentration of mammals in the lower 48 states, so have your camera ready for wildlife such as bison, elk, and pronghorn. Journey into breathtaking Grand Teton National Park-home to 13,770-foot-high ridges-for a delightful stroll along glacier-fed Jenny Lake. More stunning scenery awaits you in Utah, where you'll visit Bryce Canyon National Park. You'll be amazed at the bright red, yellow, and pink pillars called "hoodoos." Zion National Park is home to canyons sculpted over millions of years and soaring cliffs resembling temples and cathedrals. In Arizona, enjoy Lake Powell and overnight in Grand Canyon National Park, giving you an amazing opportunity to see breathtaking views and to take an evening stroll to marvel at the dramatic sunset. If you miss the sunset, sunrise is also spectacular! This value-minded, National Parks tour offers all of this and much more-including time in the Wild West town of Jackson, Wyoming. Just wait until you see the awe-inspiring scenery!